The other weekend I was keen to explore some new areas of Seoul and, during my Saturday adventure, I ended up in Jamsil. Upon stepping outside I was greeted with one of the most impressive shopping mall exteriors I’ve ever seen in my life (pictured below). However, it was inside where I was truly blown away. The first 2 stores within the massive circular atrium were Chanel and Louis Vuitton, both of which had huge queues of people eager to get inside the store and purchase. Each store was open, they were simply operating a one-in/one-out system due to the number of people inside the store. In Seoul, more than any other place in the world I have visited thus far, the labels you buy are a significant statement as to who you are. Starbucks is considered a luxury brand thanks to their recent marketing efforts and their completely reimagined interiors in-store. The brand has been so successful here that in 2014 it was announced that Seoul had the most branches of Starbucks of any city in the world. Indeed, Seoul is now considered the new market for luxury retailers looking to spark growth in the APAC region and every brand should be paying attention. The foundation of this love of luxury goods and making a statement is rooted in both the social movement of older generations and the freedom of consumption of younger ones. Despite 60 years of rapid economic development, Koreans have always valued authenticity both in their lives and in their possessions. This became a natural fit for the luxury market where authentic materials, styles and manufacturing techniques are a cornerstone of the industry and, as such, South Koreans became a huge consumer market for high-end, designer goods. This is especially true for brands with established traditional values (like Louis Vuitton or Chanel) who had histories attached to royal families and famous artists. For many, buying a luxury good was also buying a piece of the brand’s values, a way to make a statement of not only who you are but the authenticity of your tastes. Many brands have been quick to jump into this market in both the fashion and beauty market, as mentioned in my previous article. The market has already proved fruitful for the likes of the brands above as well other retailers like Jo Malone, Rolex, Valentino and Fendi, establishing themselves as not just providers of high-end products but high-end experiences. 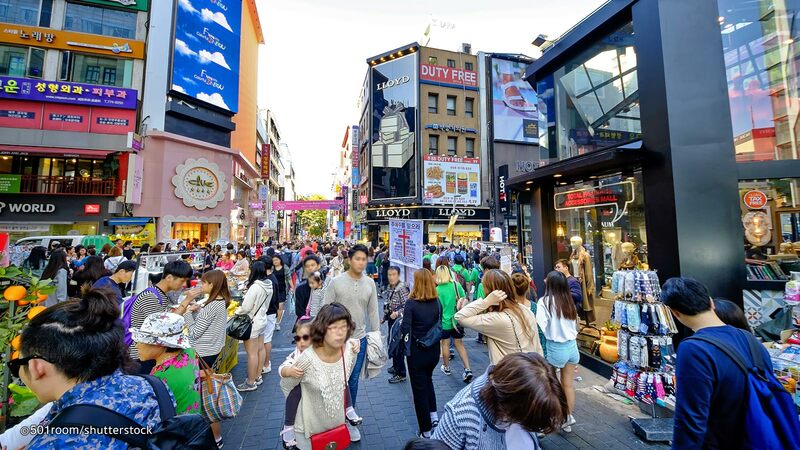 Retailers eyeing up South Korea as a future market need to understand that the required investment (both in terms of capital and resources) is substantial. South Korean consumers are well aware of what they want and will pay for it, however underselling you’re offering is an easy way to put your consumer off. Your 1st and primary focus for entering South Korea should be to treat it as a core market and not like a Tier 3 support to the rest of your campaigns. Does my marketing convey a “luxury brand” message? Does my website have a “luxury” consumer experience? Is your presence uniform across your offering and are you where your consumers expect you to be? Is your branding tailored to the South Korean market (i.e. Korean influencers, models, localisation etc.)? Am I treating this market, like I’m treating my home market? If the answer to any of these is “no”, go back to the drawing board and revise/evolve the strategy. South Korea: A Future Leader of Luxury Goods Market? Whether it’s fashion, beauty, coffee, sportscars or property, South Korea is primed to become a key market for any luxury brand and establishing yourself early will be the key to maximizing your success. The luxury sector is estimated to be worth just over £1 trillion and this market is one of the key players, the question is are you and your business ready to make an impression?